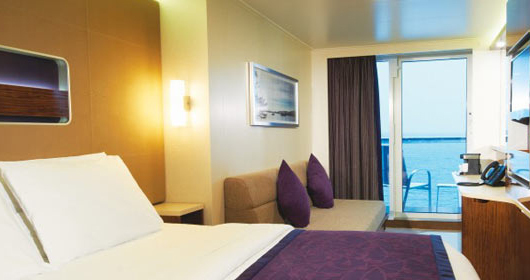 When booking a cruise, a simple but important decision you’ll have to think about and make is your selection of cabin. You’ll have to consider not only what you’ll need (or want) in terms of size and amenities, but elements like location on the ship factor in as well. Our experts have put together a guide on selecting your room. With this information on the four main types of cabins and the benefits of various ship locations, you should be well-prepared to make your selection. The most affordable cabins tend to be the inside rooms. These are not large, and generally do not have windows or port holes. You will have your own bathroom, and two twin beds that can combine into a queen bed is a typical seating arrangement. This can be a fine option if you do not plan to spend much time in your room. Ocean view cabins, as befits their name, have some kind of window through which you can view the ocean, but the size of that window varies, from a porthole to a picture window to some options that are even larger . These windows generally do not open. 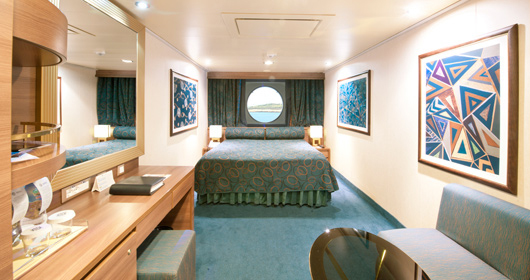 You’ll typically pay more the better the view is, and otherwise these cabins tend to be the same as the staterooms. A step up from the ocean view cabins, these cabins have a sliding glass door that opens to an outdoor private balcony. 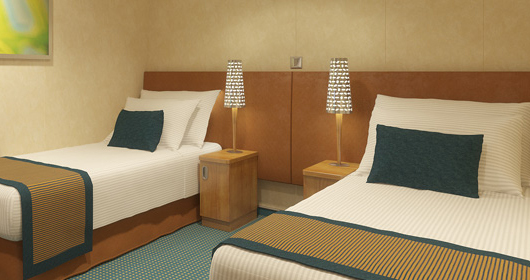 These cabins allow you to have private space (although your balcony may still be seen from other parts of the ship) while enjoying the fresh ocean air and natural light. These cabins are typically a little larger, and you’ll have more seating options because of the extra space the outdoor area provides. 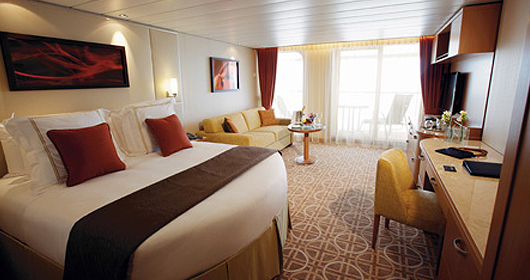 Suites are the largest, most luxurious cabins on a ship. Suites create the most space by expanding every element of the cabin– larger closets; a larger bathroom, with a larger shower (and often a full bathtub); a king-size bed; and even a larger television. Suites often have a separate living room and; larger suites may have even more. Not all suites have balconies, so if that’s important to you, make sure the suite you want does have one before you book it. One last note when booking a cabin: Ship location is going to play a factor in your experience and in the cost. If you’re looking for the most affordable option, the lower decks are typically the best bets. The closer you are to midship, the higher the cost will be, as you’ll be closer to everything you want to access. Higher decks also tend to be closer to the activity centers and restaurants. With all this in mind, you should be set to choose your cabin. 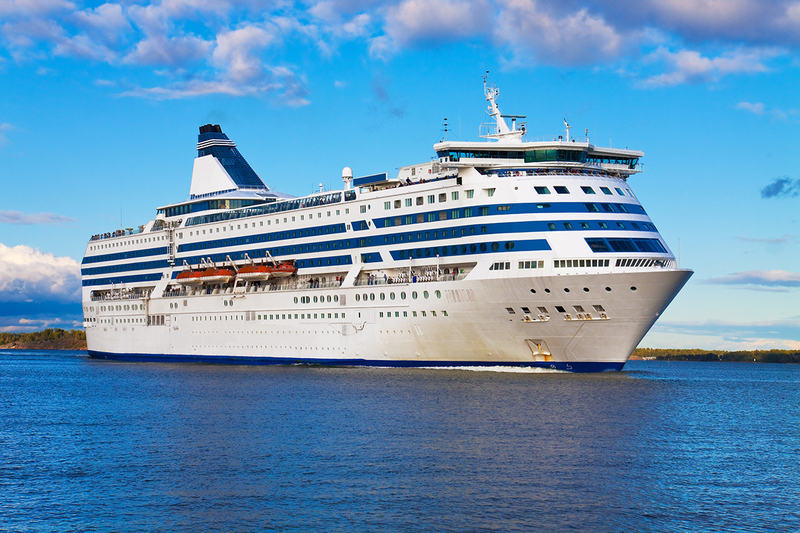 When you’re ready to book your next cruise, visit AffordableTours.com or call us at 1-800-627-3753 and let one of our seasoned professionals guide you through the process and get you the best price on your choice! We love that cruises offer so many different options. Thanks for reading!